Mr. Worldly Wiseman comes to Christian after he is finally able to escape from the slough of despond. The slough of despond is a swamp that is filled with discouragement and doubt that the travelers wade through. Christian exits with the assistance of Help but he is greatly soiled with mud on his outward clothing and but there is a dark gunk that has muddied his soul as well. Mr. Worldly Wiseman is a citizen from the City of Carnal Policy which tells us that it is a place that is ruled by fleshly strategies meant to damn its citizens to the darkest confines of eternal punishment. 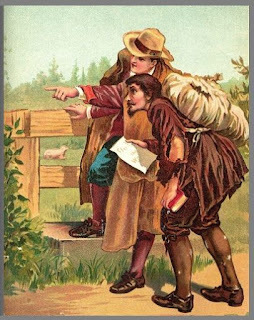 This man attacks the Scriptures (the Book that Christian is holding in his hand) just as some of the other fellow travelers in Bunyan’s tale already have. 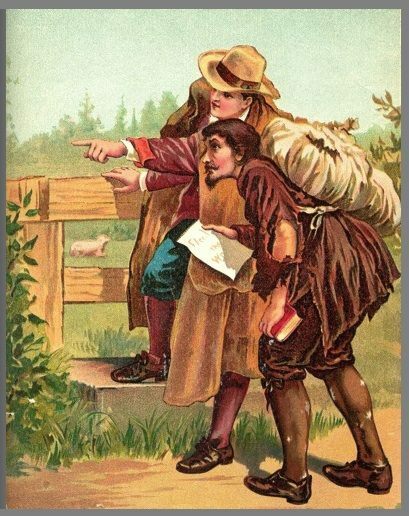 Obstinate and Pliable who accompanied the pilgrim as he left the City of Destruction attempt to tear down the Scriptures in the mind of Christian. Obstinate makes no bones about his attack, he just outright mocks the Bible as a collection of myths, fables, mistakes, and contradictions. Pliable chooses a little different tactic, he toys with the Book by trying to use subtle hints about its claims of truth so he can plant seeds of doubt in the mind of Christian as to God’s love and purpose for his life. Mr. Worldly Wiseman tries to totally renounce the Bible by pointing toward human morality and goodness as a viable way to salvation instead of the atoning that took place at the Cross. All three of these nefarious ways are still being used today by Apollyon. There are millions who constantly are being deceived by this means of wicked men who question the truth of God’s Word. Mr. Worldly Wiseman is a smooth, cool soul dressed in the garb of a pastor who has married up with the world. He works in a very seducing way toward Christian and that sometimes is the most deceptive of all means. Usually it is not the outright heretical views that entrap but the subtle seducing spirits. All his actions are exactly the opposite of the honesty and purity of Evangelist who is doing the real nitty gritty of pastoral work. Mr. Worldly Wiseman is a deceitful man who is constantly swayed in changing winds of popular doctrine and uses that influence very effectively on the spiritually naive. He presents another way for Christian. Mr. Worldly Wiseman tells him of another pastor in another city that really has things moving and has been so much more “successful” than the simple crude preaching that he heard from Evangelist. Mr. Legality and his son, Civility, who are from the City of Morality, can prove to Christian that by being a model citizen who pays his bills, shows up to work on time, is a community leader, is faithful to his wife, serves his children well, and is involved in various social outlets to ease the condition of human suffering can be saved by doing all of these good works. In fact, what Mr. Legality is really preaching is an adherence to the Law, a climb up Mount Sinai, so he can fulfill every aspect of the Law and become the perfect man in the City of Morality. Self-improvement is what makes the City of Morality so successful. However, when Christian arrives there to consult with them, he finds a model village that is very clean and well-kept but the problem is that the population is practically nil. The few citizens who live there are very much caught up in self-righteousness and they have booted out all the residents who could not live up to their standard of conduct. The danger of this kind of existence is moving away from the Cross of Jesus Christ which covers every sin that man has ever committed. It is substituted with the so-called goodness of man and belief that all of mankind is basically good and really has no need of a savior, just an improvement of his ways. The improvement of his ways can be facilitated by the Law which promotes good manners, good education, and good habits. Everyone who is involved in this kind of ministry that Mr. Worldly Wiseman is active in, could be aptly labeled as religious charlatans. 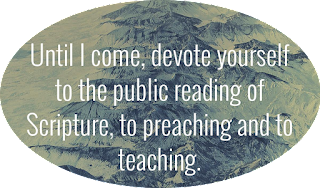 That kind of “preaching” has a great foothold in our world today but it is strangely being overlooked by the masses. It is the gospel of self-improvement or of self-help. It is the gospel of human potential and the fulfillment of dreams and goals that can be obtained through hard work. When biblical preaching is turned into motivational speeches that encouraging people to pull themselves up by their bootstraps and “become” their dream, it short-circuits our need for the Savior. You can see that kind of talk from Mr. Worldly Wiseman when you see advertisements for churches that offer “relevant” sermons or that may say, “This isn’t your Grandma’s church!” They can say a host of other things as well but at the core of this is a separation of the real biblical message of salvation that has boundaries already settled in Scripture. Be careful of the wooing call of Mr. Worldly Wiseman that would try to get you off the right path. It cannot go without saying that the Christian life is hard. There are blessings and benefits of being a child of God but the fact remains that once a person is born again, they immediately are thrown into an invisible war. It was the invisible war going on beyond the eyes of Job that he could not see but still he was involved in it. When the calamities struck, it was almost more than he could take, but it was the path of salvation for him. Mr. Worldly Wiseman derides the preaching of Evangelist to Christian. He starts to point out the sufferings that Evangelist told Christian to be on the lookout for. He notes that this path that Evangelist wants pilgrims to walk is filled with suffering, weariness, nakedness, and the other matters that Paul said was in his path of ministry in 2 Corinthians 11. Furthermore, Mr. Worldly Wiseman does not want Christian reading his Bible. This reason is two-fold, he wants him ignorant of God’s ways so that he can lead him wherever he wants him to go. Furthermore, he knows that Scriptural knowledge adds discernment to the soul of Christian and any other believer who reads God’s Word. So the seemingly easier way and more attractive path is what Mr. Worldly Wiseman wants others to buy into. Christian is almost taken in by Mr. Worldly Wiseman and starts his trek toward the steep hill leading to Mount Sinai. He literally is accosted by a very mad preacher as he does this! Evangelist rolls in with the authority of one of the ancient prophets and excoriates Christian over his gullibility to be removed from the true path of salvation. He confronts Christian as to why he has changed his travel plans so easily from what he first believed. Christian is ashamed and embarrassed by his choices which would have been spiritually fatal to him. 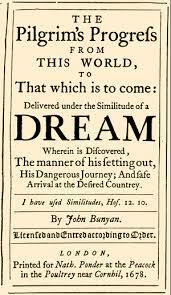 It’s remarkable to watch Christian (who is John Bunyan as Pilgrim’s Progress is more autobiographical than not) and his response to Evangelist. Far too many today find themselves offended when a pastor/preacher/teacher would attempt to use the corrective measures afforded to them by God. Treasure a godly pastor who simply wants to do everything within his power to encourage people to make it to heaven. Evangelist reaffirms that there is only one way to be saved, “You have to go through the narrow gate (Wicket Gate) which is Jesus Christ!” There is only one way to heaven and Mr. 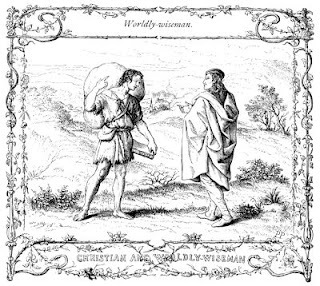 Worldly Wiseman used his deception to get Christian to think otherwise. The modern apostolic church needs some mad preachers! We don’t need just mad preachers but we need some very mad preachers who are willing to stand in the authority of their calling and preach the clarity of biblical truth. They need to go after every Mr. Worldly Wiseman that would say there is another way to be saved. For those who attend churches today, if you have a mad preacher or a very mad preacher, you should thank God for it. If you have a concerned pastor, you should thank God for it. These men are to be treasured more than all the gold in the world. The advice of Evangelist placed Christian back on the right path and thankfully Christian loved him for the sharp rebuke that he received. There are some concluding observations to make concerning Mr. Worldly Wiseman. Evangelist in his preaching to Christian clearly described what had taken place. Mr. Worldly Wiseman turned Christian away from the path of right. A wicked man will do his best to inform others that there is an alternate way to be saved but it cannot be forgotten that all roads do not lead to heaven. Mr. Worldly Wiseman made the Cross of Christ to be something that was offensive. A wicked watchman has forgotten that the Cross is to be treasured more than all the treasures the Egypt has to offer (Heb. 11:26). Lastly, Mr. Worldly Wiseman put the unwitting Christian on the path of destruction. It is a wicked man who would turn people from the narrow way to the broad way that leads to destruction. Well done! I look forward to the next one!